A green oasis has popped up in Hanoi, a city choked by smog. Hung Nguyen Architects designed and built the Pavilion of Origins, a greenery-draped structure that uses living plants to purify the air. 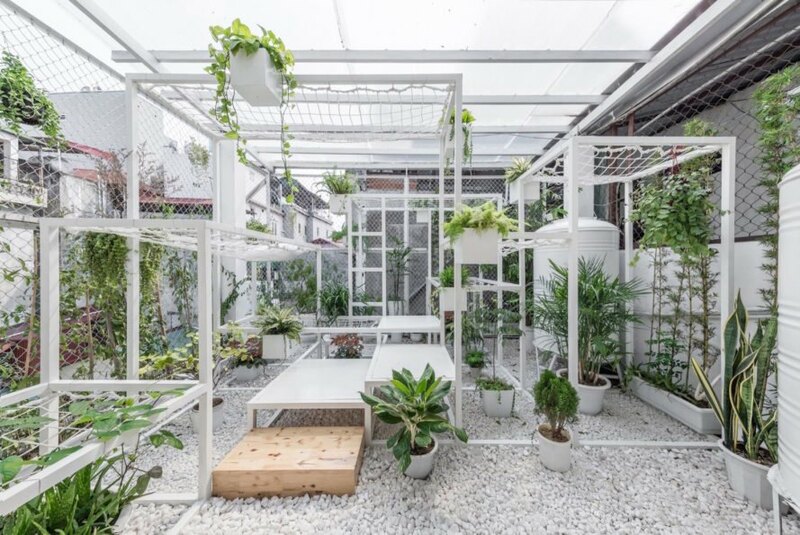 Set on the terrace of a three-story house in Hanoi, the pavilion is minimal and modern with a simple palette of green leafy plants, white upcycled steed frames, and a light gray pebble floor. Hanoi ranks among the worst in the world for air pollution with traffic congestion blamed as the leading cause. 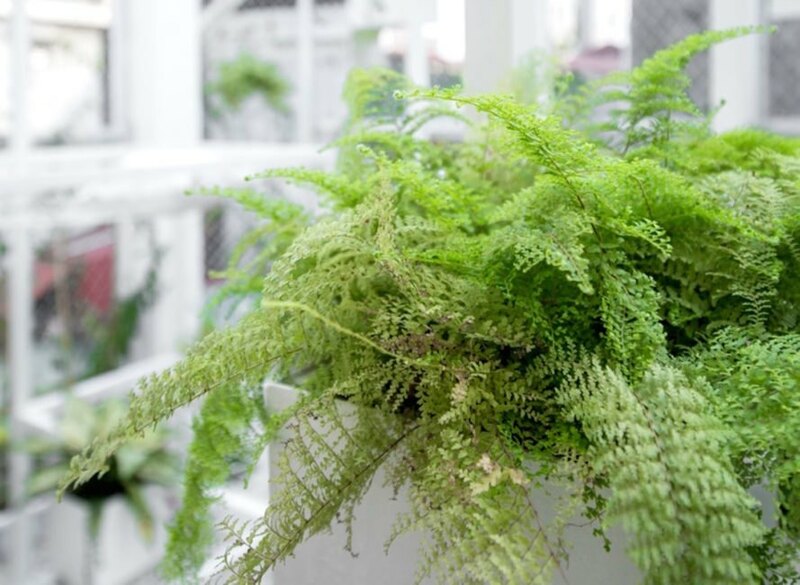 In an attempt to bring a breath of fresh air to the city, Hung Nguyen Architects created a pavilion covered with a wide variety of plants, including the peace lily and snake plant, selected for their air-purifying and decorative qualities. 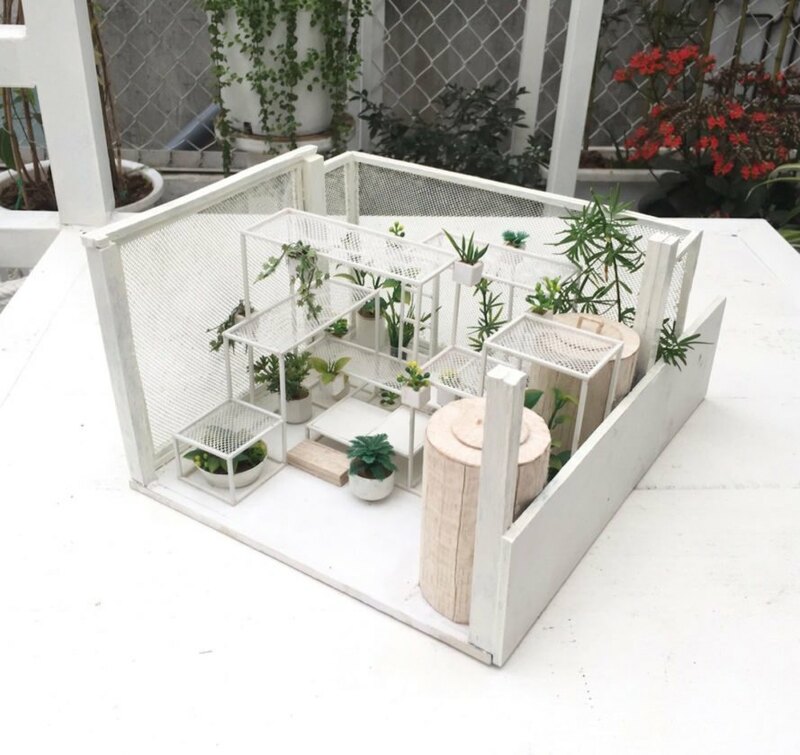 The plants are arranged inside and around a collection of simple white cuboid frames of varying sizes built of upcycled steel. A translucent polycarbonate roof allows natural light to pour through while reducing solar radiation. The white frames and light-colored pebble floor keep the focus on the plants, which grow and spread on multiple levels. White netting on the tops of the larger cuboid frames can be used as hammocks for relaxation. 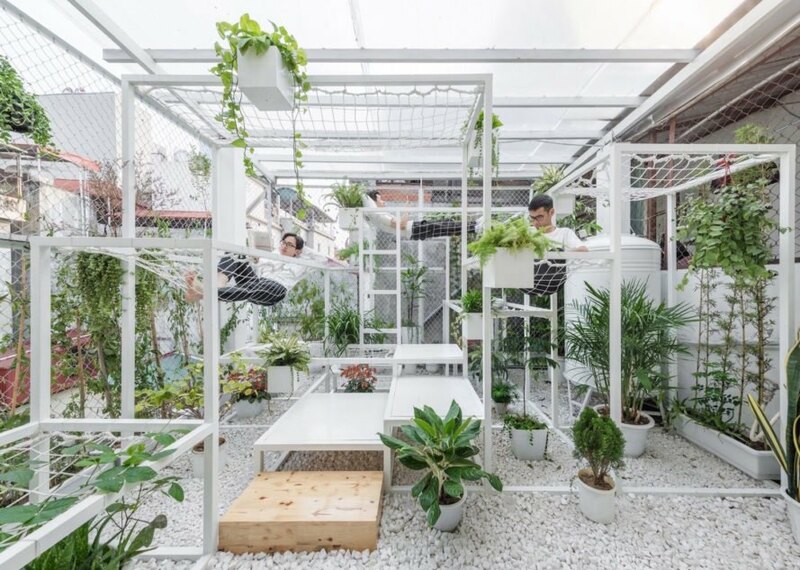 In an attempt to bring a breath of fresh air to the city, Hung Nguyen Architects created a pavilion covered with a wide variety of plants, including the peace lily and snake plant, selected for their air-purifying and decorative qualities. The plants are arranged inside and around a collection of simple white cuboid frames of varying sizes built of upcycled steel. A translucent polycarbonate roof allows natural light to pour through while reducing solar radiation. The white frames and light-colored pebble floor keep the focus on the plants, which grow and spread on multiple levels.